Digital Realty has boosted its investment portfolio in Australia to more than $1 billion after opening its new data centre facility, Digital Erskine Park II and acquiring a new site. 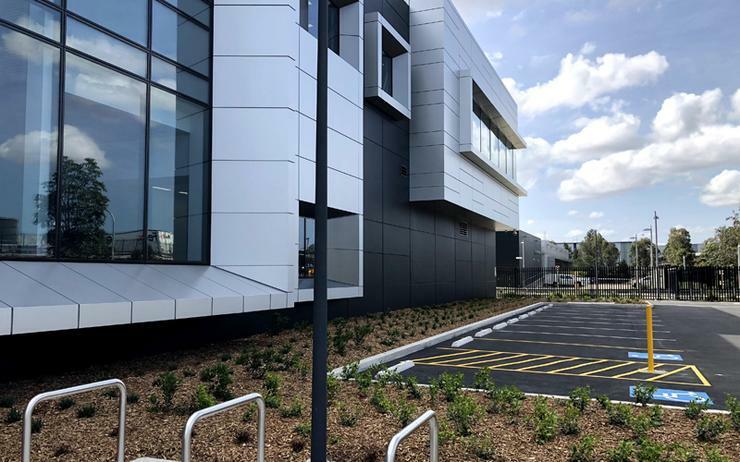 The data centre developer purchased an additional 1.4 hectares of land in Erskine Park near Penrith, which will be transformed into Digital Erskine Park III, adding 12 megawatts of capacity to its Erskine Park Connected Campus when completed. This will expand Digital Realty’s Australian data centre footprint to six facilities, bringing its total investment in Australia to more than $1 billion, the company said. The new facility, Digital Erskine Park II, spans 7,000 square metres and will provide up to 17.4 megawatts of critical IT power capacity. It was built using Digital Realty’s 4.0 POD architecture design, which uses a modular methodology to build out raised floor data centre capacity using standard power and cooling building blocks for cost-effectiveness, design flexibility and energy efficiency. "We are excited to further expand our presence in Sydney, a key market for us in Australia and the wider Asia Pacific region,” said Krupal Raval, CFO of Asia Pacific at Digital Realty. "The time is right for this expansion. "Given the fantastic market demand we have seen for our newest facility that just opened, we have already started the design and planning process for the next phase of our Erskine Park connected campus. "We expect to break ground soon, with the goal of delivering our next data centre for customers requiring critical IT space in Sydney by 2020." The facility also features a cooling solution that includes a pumped refrigerate economiser cycle, ensuring annualised Power Usage Effectiveness (PUE) without water usage. Furthermore, the facility also contains lithium ion battery technology, and will be connected via dark fibre to the existing facilities on the Digital Realty Erskine Park connected campus, alongside the ability to connect directly to PIPE-IX, the second-largest Internet exchange in Australia, housed within the connected campus. The design and planning for the newly acquired site will take place shortly with incremental capacity scheduled to be delivered by 2020, subject to planning approval and customer demand, the data centre builder said. Specifically, it will employ up to 500 local contractors during construction of the new facility, and once its fully operational, the data centre will provide up to 30 additional permanent roles, including facilities managers, engineers, security personnel and additional contractors. "Sydney is ideally placed on the Eastern Seaboard, with the fibre optic backbone that runs up through Brisbane and Queensland, and down to Canberra and Melbourne," added Peter Adcock, vice president of design and construction across Asia Pacific at Digital Realty. "It picks up a large part of the Australian population and is strategically located along submarine fibre cable routes." Meanwhile, Digital Realty CEO, William Stein, added Sydney was a key city for multi-nationals as they touch down into the Asia Pacific region, making it a "critically important" destination for the data centre builder. “This facility will serve the community well as a strong addition to Sydney’s data and technology infrastructure, which is increasingly under-resourced due to the rapid growth of inbound business and the regional digital economy,” Stein said. Digital Realty provides a range of global data centre, colocation and interconnection solutions, and currently owning and operating 198 facilities across 32 metropolitan areas. Across Asia Pacific, the provider operates a network of 12 data centres located in Singapore, Hong Kong, Tokyo, Osaka, Melbourne and Sydney.